Is Darius, the king of Ezra 6:14–15, the same king as the Artaxerxes of Ezra 7:1? In the chronologies of Bishop Ussher and Floyd Jones there is an unsubstantiated gap or space of 80–82 years between the return of the Jews from the Babylonian captivity and the commencement of the 70 weeks of years of Daniel 9:24–25. The main reason for such a space is the unproved assumption that the Darius (Hystaspis) of Ezra 6:14–15 is a different king to the Artaxerxes of Ezra 7:1. This paper shows these two are the same king and that there is therefore no such gap in the Bible but instead a continuous chronology from creation to Christ. 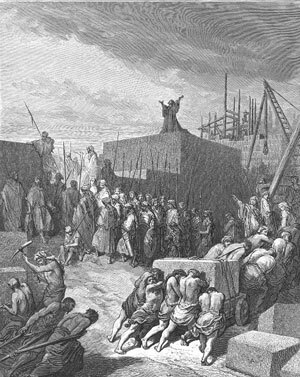 ‘The rebuilding of the temple’ by Gustave Dore. ‘And they sang together by course in praising and giving thanks unto the Lord; because he is good, for his mercy endureth for ever toward Israel. … because the foundation of the house of the Lord was laid [emphasis added]’ (Ezra 3:11). According to Ussher (p. 118, No. 950) the restoration of the Jews after Babylon occurred in 537 BC, and Christ’s baptism in AD 27 (p. 803, No. 6289).1 These dates cover a period of about 563 years. Yet the 69 weeks of years (Daniel 9:25–26) referring to the two events of the Restoration at the time of the going forth of the commandment and the Baptism covers only 483 years. Ussher’s figures are approximately 80 years too long. The only explanation for the difference is the commencing of the 483 years about 80 years after the Restoration. Evidence is given in this paper to prove that there is no ‘gap’ or space as implied by Bishop Ussher and Floyd Jones, and the Darius of Ezra 6:14 is the same king as the Artaxerxes of Ezra 7:1. Daniel 10:1 says: ‘In the third year of Cyrus, king of Persia, a thing was revealed unto Daniel’.3 And according to Daniel 11:2, ‘there shall stand up yet three kings in Persia; and the fourth king shall be far richer than they all’. Cambyses:6 Ezra 4:6 (Ahasuerus, not the one of Esther). Pseudo Smerdis:7 Ezra 4:7 (Artaxerxes, not the one of Ezra 7:1). Nothing commendable is stated and no commandment to build and finish was given by Cambyses (cf Ezra 6:14). He was ‘violent, rash, headstrong, incapable of restraint, furious at opposition, not only cruel, but brutal.’9 Pseudo Smerdis (an impostor) made no commandment to build and finish, but rather caused the cessation of the building of the city (Ezra 4:21) and the temple (4:23) until the 2nd year of the reign of Darius, king of Persia. Nothing, either in secular or biblical history, was found to be at variance with the above facts. Only two kings, therefore, up to the completion of the house of God (Cyrus and Darius Hystaspis), could and did receive the commendation of Ezra 6:14. They ‘builded, and finished it, according to the commandment of the God of Israel’. Yet three kings are seemingly found in Ezra 6:14. This apparent discrepancy is quite simply explained by translating ‘and Artaxerxes King of Persia’ as ‘even Artaxerxes King of Persia’. Is it correct to translate ‘and’ as ‘even’? Jones10 does not think so and states that Anstey ‘altered’ the verse. Moreover, he says that ‘having pursued the matter further by consulting over twenty versions at Ezra 6:14, it is noted that not one translator or team of translators rendered the “waw” (vav) beginning the Hebrew word for Artaxerxes as “even”.’ The answer to this statement is that if it is impossible for three kings to receive ‘commendation’, then we must find a meaning of ‘waw’ that agrees with the biblical historical record. We must interpret according to context and the type of ‘waw’ involved and not to the number of translations. In Bagster’s Analytical Hebrew and Chaldean Lexicon12 ‘and’ as a connective particle has eight principal uses. No. 8 says: ‘ … exegetical (i.e. explanatory, interpretive) = even, where properly the relative may be expressed instead. See Gen. 49:25—from the God of Thy father, even He, or who will help Thee.’ On the basis of the ‘explanatory’ use of No. 8, a correct translation of Ezra 6:14b would then be: Cyrus and Darius, even (or who is) Artaxerxes, King of Persia. The commendation given regarding the building and finishing by the Artaxerxes of Ezra 6:14–15 was not anticipatory of the command to repair (Nehemiah 2:1–8). The context of Ezra 1:1–6:15 only allows for the work to have been completed. The question now is, if the above is correct does this necessarily prove that the Artaxerxes of 6:14 is the Artaxerxes of 7:1? Nehemiah coming before the king, ‘the queen also sitting beside him’ (Nehemiah 2:6), greatly saddened by the news that ‘the wall of Jerusalem also is broken down and the gates thereof are burned with fire’ (Nehemiah 1:3). Nehemiah requests to return back to Jerusalem to repair the breach. This repair took only 52 days (Nehemiah 6:15). According to Josephus, ‘And this trouble he underwent for two years and four months; for in so long was the wall built’.41 This period could have reference to the original reconstruction, i.e. the building of the wall mentioned in the earlier chapters of Ezra. No amount of redactional intrusion of ‘God breathed’ words (revision, editing, rearrangement) will ‘fix’ the long age problem. In any case, it would be against the teaching of the perspicuity of the Scriptures to depend on rearranging historical events the way we find in some of the commentaries or other literature. Check Sir Isaac Newton’s redaction of some of Ezra and Nehemiah found in Floyd Jones’ OT Chronology.18 If we had to read Scripture in this way how much would we understand? God intends ‘ordinary’ Christians with the aid of the Holy Spirit, of course, to read the Bible and understand without needing interpretation by such rearrangement. The temple completed on the 3rd day of the last month (Adar) of King Darius’ 6th year. The Passover kept on the 14th day of the 1st month of the 7th year. Then Ezra, full of concern and zeal for the house of the Lord (who ‘had prepared his heart to seek the law of the Lord, and to do it, and to teach in Israel statutes and judgments’—Ezra 7:10) holding back this concern for 49 years! Because of the character and zeal revealed in Scripture of this man, it cannot be imagined that this urgent matter would result in action only when he was a very old man of about 121 years. If Darius Hystaspis of Ezra 6:14–15 and the Artaxerxes of 7:1 are the same king then we find Ezra, approximately 27 days later, after the temple was completed, preparing for his trip (7:9). Four months go by and he came to Jerusalem (7:9). On this ‘common sense’ basis alone (i.e. Ezra not waiting 49 years but only 27 days before making preparations for his trip to Jerusalem), we would expect these kings to be one and the same. If these kings are the same then, naturally, we would also expect to find Darius Hystaspis referred to as Artaxerxes in the Apocryphal Books. And this is exactly what we find. These books are not ‘God breathed’ but they do provide valuable historical information. In the Rest of Esther (2:1) we read that: ‘Mardocheus took his rest in the court with Gabatha and Tharra, the two eunuchs of the king, and keepers of the palace’. According to the Rest of Esther (2:2), these two were also ‘about to lay hands upon Artaxerxes, the king’. Esther 1:1: ‘in the days of Ahasuerus, (this is Ahasuerus, which reigned from India even unto Ethiopia, over an hundred and seven and twenty provinces) KJV. Artaxerxes is also the same king as Ahasuerus and Darius Hystaspis. (Emphases above are mine). There is nothing in these Apocryphal Books that militates against the proposition that Darius Hystaspis, Ahasuerus of Esther and Artaxerxes of Ezra 7:1 are the same one king. Rather, these books support this. Why is Darius Hystaspis now referred to so often from Ezra 6:14 through to the end of Nehemiah as Artaxerxes? By the third year of his reign he had increased the rule over 120 provinces to 127 (cf. 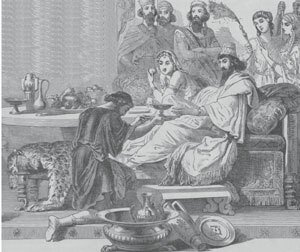 Daniel 6:1, Esther 1:1–4). By about the 5th year of his reign Darius is believed to have executed most, if not all, of the Behistun Inscription. Here he records, during the first 5 or 6 years of his reign, the reconquering of all the revolted provinces of the Persian Empire. Now he ‘reigned from India to Ethiopia’. He prepared a feast that lasted 180 days to show ‘the riches of his glorious kingdom’. By the time the temple was completed in his 6th year he is recognized, not just as King of Persia (Ezra 6:14), nor King of Assyria (Ezra 6:22), but, as ‘Artaxerxes, king of kings’ (Ezra 7:12). According to the Medes and Persians, ‘there is one law of his [the king] to put to death, except such to whom the king shall hold out the golden sceptre’ (Esther 4:11), any that comes into the inner court without the king’s authority. That sceptre was given to Esther, at least twice (Esther 5:2; 8:4) by Darius Hystaspis (Ahasuerus of Esther, Artaxerxes of Ezra 7:1, etc.). So it is no surprise to see the Queen ‘also sitting by’ Artaxerxes (i.e. Darius Hystaspis) in his 20th year (Nehemiah 2:6), when Nehemiah came to see him about the need to repair the walls of Jerusalem that were broken down. It was Darius Hystaspis (Ahasuerus) who controlled the extraction of tribute ‘upon the land and … the Isles of the Sea’ (Esther 10:1), and who also made exceptions, e.g. Ethiopia who brought gifts. So if Darius and Artaxerxes are the same king, we can understand why this king would instruct Ezra: ‘it shall not be lawful to impose toll, tribute, or custom, upon them’ (Ezra 7:24). ‘O Lord, hear; O Lord forgive; O Lord hearken and do; defer not, for Thine own sake’ (Daniel 9:19). Secondly, what did Daniel pray for in Daniel 9:3–21? These 3 requests cover prayer for the restoration of the temple, the city, the houses and the wall. In other words, Daniel prayed for the things he had read about and for those matters God had promised. Again, I repeat: and that God would not defer (The Hebrew for DEFER = achato loiter, to procrastinate. Strong = Heb. # 309). Can we imagine Daniel going into his house, his windows being open in his chamber toward Jerusalem, kneeling upon his knees (three times a day—Daniel 6:10), earnestly praying for his people to be delivered, receiving an answer that God would not defer, and then having to wait 82 years before God takes away the desolations that had occurred to the city and the wall? There is no other similar example of such kind in the whole of Scripture! A gap or procrastination of about 80 years (see above) is the last thing Daniel would expect after the Lord’s answer to his prayer clearly implies all supplications would be met and without postponement. All the indications are that the Lord wished to deal with the matter faithfully and urgently. John Calvin makes it quite clear that God did not defer the commencement of the 70 weeks of Daniel 9:24–25 for about 82 years until the 20th year of Artaxerxes (Nehemiah 2:1). Rather the 69 weeks commenced from the proclamation of Cyrus the Great (Ezra 1:1). In Daniel 9:24–25 there is no mention of 80 or 82 years but only of 7 and 62 weeks of years. Why is that so? God does not waste words! There must be a reason why the 7 weeks of years is distinguished from the 62, as Calvin believed. And these two periods do not overlap but are consequent events with something important occurring in each period. The Jews were ‘building the rebellious and the bad city’. Ezra 2:70–3:1 tells us the cities were sufficiently built by the 7th month after their return (‘all Israel in their cities’). Nehemiah 7:5–73 is a record of events, etc., most of these being at least a copy (including v. 73) of what was found in the genealogical register of Nehemiah 7:5. (Compare Ezra 2:70–3:1 with Nehemiah 7:73). Nehemiah, in reading the register, found there was not enough people and houses in the city, so lots were cast by the people ‘to bring one of ten to dwell in Jerusalem’ (Nehemiah 11:1). The walls were ‘set up’ (‘finished’ in the KJV margin), i.e. laid into the foundations ‘which, in Mesopotamian architecture, were double the thickness of the actual walls that were laid into them’28 —all this before the 2nd year of Darius. The walls were not built up again from the previous destruction (2 Kings 25:10) in the 20th year of Artaxerxes (Nehemiah 2:1). The reference in Nehemiah 2 is to a ‘repair job’. ‘Build’ in Nehemiah 2:5 means to build, make, repair (Strong #1129). Note that in Nehemiah 3 the word ‘repaired’ is used over 20 times. If the walls were not built until 82 years after the Restoration, then the last time the walls were broken down would be at the destruction of Jerusalem, which, if this ‘gap’ of 82 years be correct, would be about 132 years ago (2 Kings 25:10). So why is Nehemiah suddenly sad about an event that happened so long ago? (Nehemiah 2:1). Edwin Yamauchi states: ‘Despite abortive attempts to rebuild them (Ezra 4:6–23), the walls of Jerusalem, which had been destroyed by Nebuchadnezzar in 586 [ BC], had remained in ruins for almost a century and a half when Nehemiah arrived in Jerusalem.’29 This cannot be correct because in about the 7th year of Artaxerxes, not the 20th, Ezra came to Jerusalem (Ezra 7:8) and praised God for His extended mercy in giving the people, not a symbolic, but a literal temple, a literal repair of the desolations and a literal wall for protection in Jerusalem and Judah (Ezra 9:9). The Jews were dwelling in ceiled or decorated houses (NIV = panelled),30 in Haggai and Zechariah’s time, while the temple remained incomplete—check the sarcasm of Haggai in 2:3. When we read in Nehemiah 7:4 that ‘the houses were not builded’, i.e. in Jerusalem, about the 20th year of Artaxerxes, H.G. Williamson31 comments that ‘It is clear from the previous verse, to go no further, that there were some houses! There is no doubt, however, that when the context so demands, “ayin, Strong, #369” may have the meaning of “there is/was not enough”.’ See for instance, Nehemiah 2:14 when it says, ‘There was no place for the beast to pass.’ It simply means there was not enough room for the beast to get through. The building of the temple was ‘finished on the third day of the month, Adar, which was in the 6th year of Darius the King’ (Ezra 6:15). From Cyrus the Great’s 1st sole year to his death32 9 years (Secular history gives at least 6 different accounts of how and when he died). So if the temple, city, streets, moat, houses and walls were built in these 49 years there can be no ‘gap’ of 82 years, and Darius Hystaspis must be the Artaxerxes of Ezra 7:1. We are uncertain as to whether there is a mistaken identity of Persian Kings, where one king is the same person as another but with a different title. The same problem exists with Egyptology. Mauro and Anstey believe it is possible that the Artaxerxes of Ezra 7:1, forward to the end of Nehemiah, is both the Longimanus (a later king than the Artaxerxes of Ezra 7:1 and referred to as Longimanus in secular history) and the Darius of Ezra 6:14. Bishop Ussher, referring to Darius Hystaspis (Ahasuerus) as the one who imposed tribute upon the land and isles of the sea, quotes Strabo who said: ‘The first that ever brought up paying of tribute was Darius the long-armed’ (emphasis mine).35 Ussher then goes on to say: ‘Strabo mistook the surname of Artaxerxes, the grandchild, and gave it to the grandfather’, but without giving reason or reference for the how or the why. Darius Hystaspis, Artaxerxes of Ezra 7:1, Ahasuerus of Esther, and Longimanus could be the one and same person. Ptolemy’s ‘received’ chronology has been occasionally challenged, and ‘These challengers have underscored weaknesses in this work and many of them are, to some extent, valid.’30 Although most criticisms seem to be astronomical and not chronological, we are left in considerable doubt as to whether Ptolemy’s King List can be trusted. For example, an article concerning the book by a well published astronomer, Professor Robert Newton, The Crime of Claudius Ptolemy, and the ensuing debate, summarizes that ‘there seems to be at least some evidence in support of the claims that Claudius Ptolemy was “fraudulent” in the way he handled his observations, either by “trimming” the values or by selecting those who best fitted his theory.’36 Jones also informs us that Robert R. Newton, ‘declared that Ptolemy had deliberately fabricated astronomical observations and that he may have also invented part of his king list, although he acknowledged that the latter part of the list concerning Cambyses and Darius 1 was verifiably correct [emphasis added].’37 Note that it is the period after Darius l (Hystaspis) where problems arise and which needs to be confirmed. These problems will only be solved if, with the Reformers, we accept the biblical doctrine of sola scriptura (Scripture alone). If we are to depend upon conflicting secular historical evidence and Ptolemy’s Canon, then the Persian Period cannot be called ‘well documented’ even though there might be much contrary information from historians, king lists, etc. The cumulative argument given above should be sufficient evidence that the Darius Hystaspis of Ezra 6:14–15 is the same king as the Artaxerxes of 7:1. We must remember that the Bible is the only contemporary historical writing we can find on this period, and the only one that even purports to give definite and precise chronological information. From the days of Ezra and Nehemiah to the birth of Christ, confusion and uncertainty exist in secular historical records as a consequence of the acceptance of the unreliable chronology of Ptolemy. Concerning the length of the Persian Period and whether the Darius of Ezra 6:14 is the same king as Artaxerxes of 7:1, these problems will only be solved if, with the Reformers, we accept the biblical doctrine of sola scriptura (Scripture alone). It is of critical importance that in choosing between the Heathen Astronomer (and Astrologist—see Acts 19:13–20 where the books of ‘curious arts’ were burned before all men!) and the Hebrew Prophets, we ultimately depend only on the Word of God, which ‘is a lamp unto my feet, and a light unto my path’ (Psalms 119:105). Ussher, J., The Annals of the World, Master Books, Green Forest, AR, 2003. Return to text. Jones, F., Chronology of the Old Testament, King’s Word Press, The Woodlands, TX, pp. 262–263, 1999. Return to text. All biblical references, unless otherwise stated, have been taken from the King James Version (KJV). Return to text. Anstey, M., The Romance of Bible Chronology, Marshall Bros., London, 1913. Return to text. Mauro, P., The Wonders of Bible Chronology, Grace Abounding Ministries, Sterling, VA, 1987. Return to text. Ussher, ref. 1, pp. 119–120, No. 965. Return to text. Ussher, ref. 1, pp. 123–124, Nos. 1000–1004. Return to text. Ussher, ref. 1, pp. 126–127, Nos. 1021–1024. Return to text. Anstey, ref. 4, p. 267. Return to text. Jones, ref. 2, pp. 275–276. Return to text. For further on the above see also Sarfati, J., Refuting Compromise, Master Books, Green Forest, AR, pp. 1022103, 2004. Return to text. Davidson B., Bagster’s Analytical Hebrew and Chaldean Lexicon, T & A Constable Ltd., Great Britain, p. CCXXXIII, 1959. Return to text. Braun, R.L., 1 Chronicles, Word Biblical Commentary series, vol. 14, Word Books, Waco, TX, p. 83, 1986. Return to text. Ussher, ref. 1, p 148, No 5. 1177–1179. Return to text. Ussher, ref. 1, p. 136, Nos. 5. 1100. Return to text. Ussher, ref. 1, p. 146, Nos. 1177–1178. Return to text. Jones, ref. 2, p. 252. Return to text. Jones, ref. 2, p. 255. Return to text. Jones, ref. 2, pp. 216–217. Return to text. Young, E.J., The Prophecy of Daniel, W.M.B. Eerdmans, Grand Rapids, MI, p. 203, 1949. Return to text. Jones, ref. 2, p. 217. Return to text. Josephus, F., The New Complete Works of Josephus, Kregal Publications, Grand Rapids, MI, Book 11, Ch. 1, sections 1–3, 1999. Return to text. Compare Exodus 32:9–14. Return to text. Calvin, J., A Commentary on Daniel, First published in Latin in 1561, translated by Myers, T. in 1853, The Banner of Truth Trust, London, p.186, 1966. Return to text. Calvin, ref. 24, p. 191. Return to text. Calvin, ref. 24, p. 212. Return to text. See Ezra 4:4 where the adversaries of Judah and Benjamin ‘hired counsellors … to frustrate their purpose, all the days of Cyrus … until Darius’. Return to text. Williamson, H.G.M., Word Biblical Commentary on Ezra, Nehemiah, No. 16, Word Books, Waco, TX, p. 63, 1985. Return to text. Yamauchi, E.M., Persia and the Bible, Baker Books, Grand Rapids, MI, p .370, 1996. Return to text. The word ‘ceiled’ does not necessarily refer to the ceiling as we know it today but is used in the OT for ceiling or panelling as a sign of ornamentation and luxury. Compare Jeremiah 22:14. This was how some Jews, at least, were living at the expense of the building of the temple and for which they received retribution (Haggai 1:5–6). Return to text. Williamson, ref. 28, p. 267. Return to text. Jones, ref. 2, p. 211. Return to text. Ussher, ref. 1, p. 134, No. 1000. Return to text. Jones, ref. 2, p. 243. Return to text. Ussher, ref. 1, p. 134, Nos. 1084–1085. Return to text. 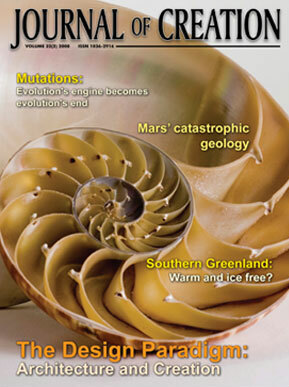 www.607v587.com/webpage 10.htm, 18 April 2008. Return to text. Jones, ref. 2, p. 245. Return to text. Mauro, ref. 5, p. 6. Return to text. 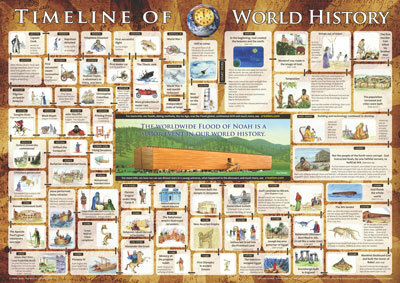 Pierce, L. and Beechick, R., Chronology for everybody, Journal of Creation 16(3):64–65, 2003. Return to text. Down, D. and Ashton, J., Unwrapping the Pharaohs, Master Books, Green Forest, AR, 2006. Return to text. Josephus, Jewish Antiquities, Book 11, chapt. 5, No. 8 . Return to text.